Science should be hands on! We dont just talk about science, we DO science! 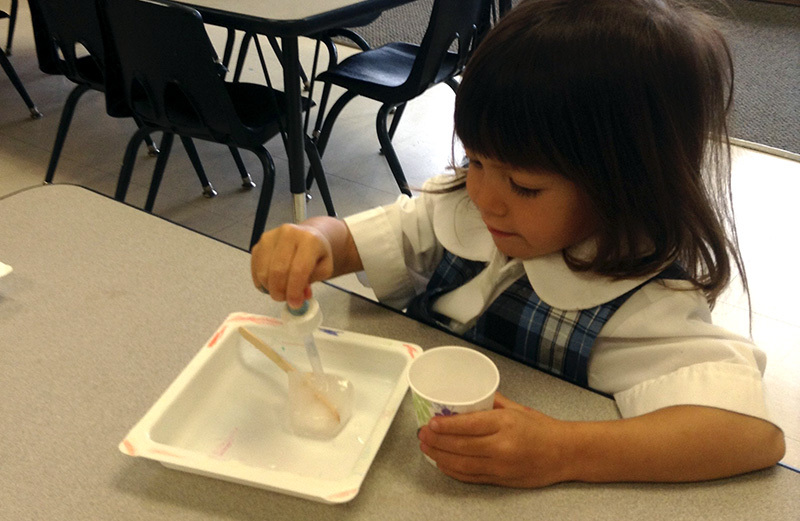 Our science curriculum includes hands on experiences in our preschool life lab. 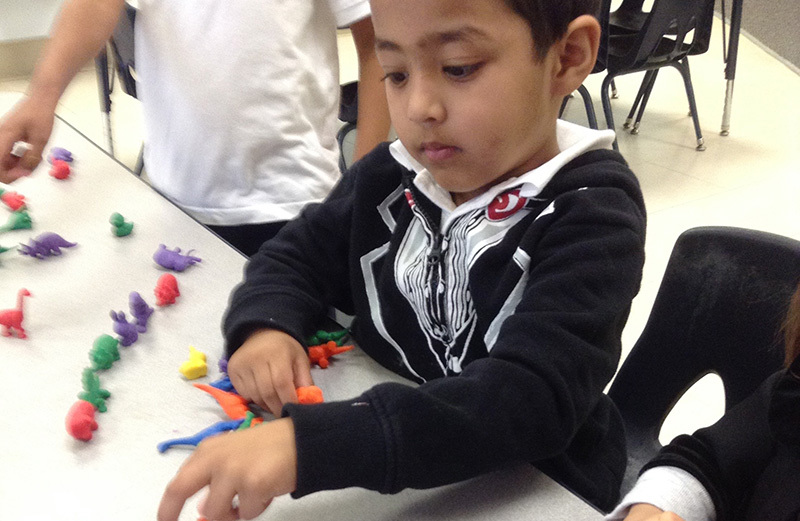 Science concepts and skills are incorporated in our themed units. We explore the weather, plants, animals, the seasons, environment and the world around us. 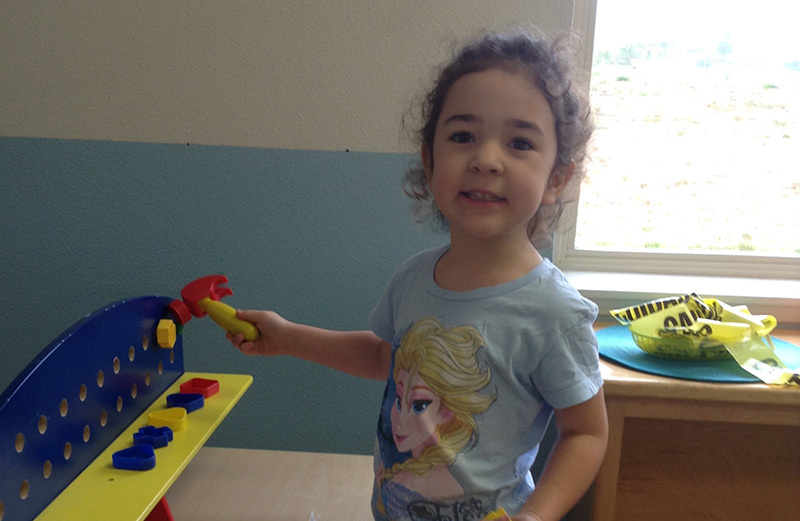 We encourage a play-based active learning environment to allow for many opportunities to practice social interaction and relationship skills. We promote children’s active involvement with activities, and materials that offer children opportunities for responsible and cooperative roles in the classroom. Teachers will observe children in their play, to understand each child’s needs and interests to promote growth in their development. Number Sense: Concepts of numbers, the development of counting skills and number relationships. Algebra and Functions: Concepts of classification and patterning. Measurement: Concepts of comparing, ordering, and measuring objects. Geometry: Concepts of shapes and spatial relationships. 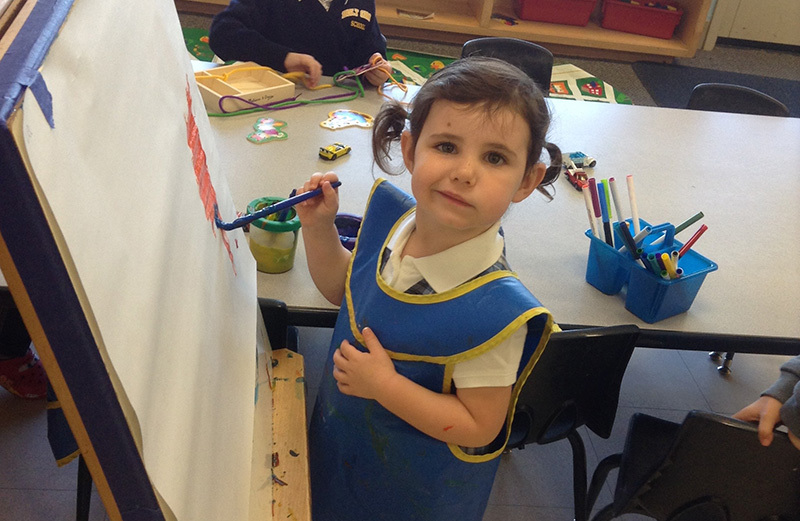 Our art activities include painting, drawing, gluing, cutting, and exploration of open-ended art activities. Art is integrated into all areas and there are many opportunities for self-directed projects. We learn the importance of helping others with many events throughout the year, including Cookies for Courage and our St. Jude's Trike-A Thon. We encourage our children to care for others. 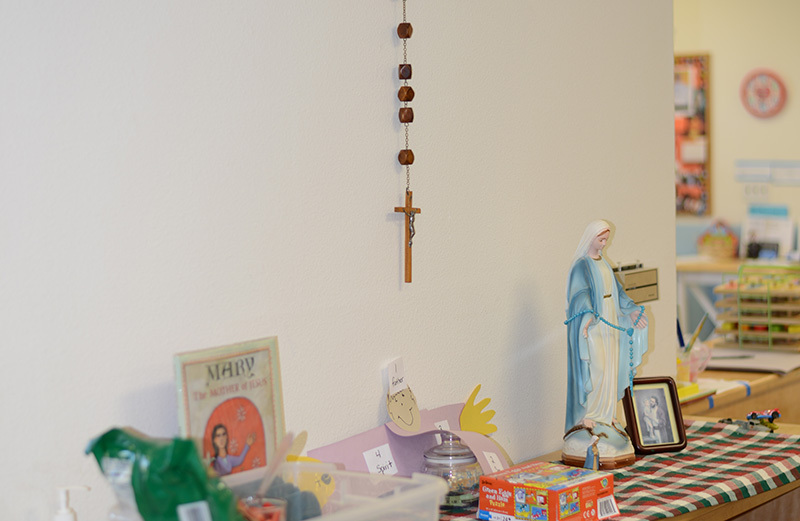 The religion curriculum we use is “Pflaum Gospel Weeklies” and the workbook; “What the Church Believes and Teaches.” The program provides weekly stories, exercises, activities, reflections and prayers that develop an awareness of God’s love through our everyday actions. 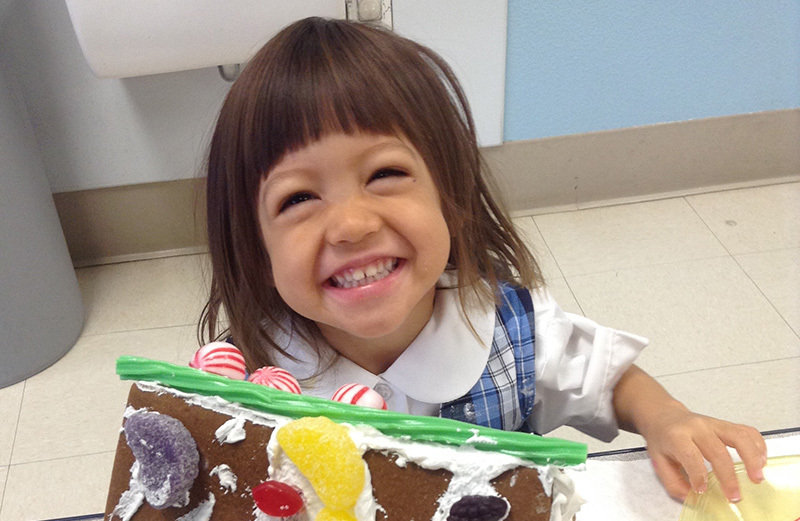 The Pre-Kindergarten students will participate in school-wide prayer services and liturgies in the church as well as honoring special feast days. Holy Cross School is accredited by the Western Catholic Education Association (WCEA) and Western Association of Schools and Colleges (WASC).